Usually while hearing the word «Asia» one can imagine a desert, a heat and camels in it. We have really enough heat, camels also but we don’t have deserts. Instead of them we have incredible mountains. Mountains for any sophisticated taste, any altitude and any kind of beauty. 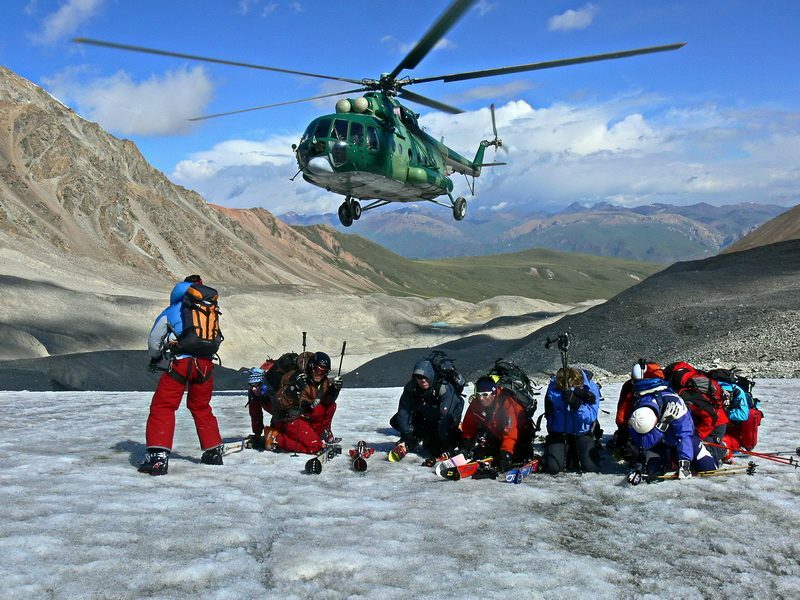 Starting from low Fergana valley (650m above sea level) and up to the highest Pobeda Peak (7439m above the sea level). 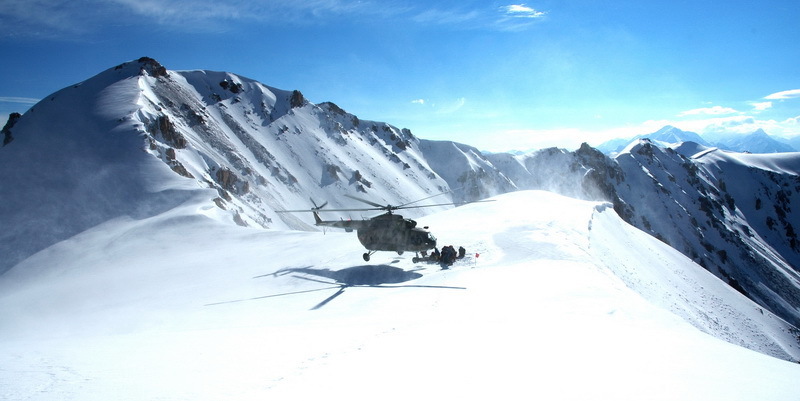 90% of the territory of the Kyrgyz Republic is covered with mountains. Winter in our country lasts since October till March. 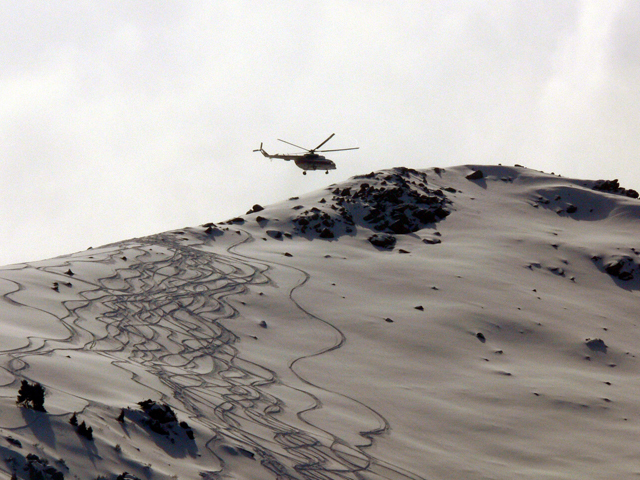 But the best time for Heliskiing is February and March. 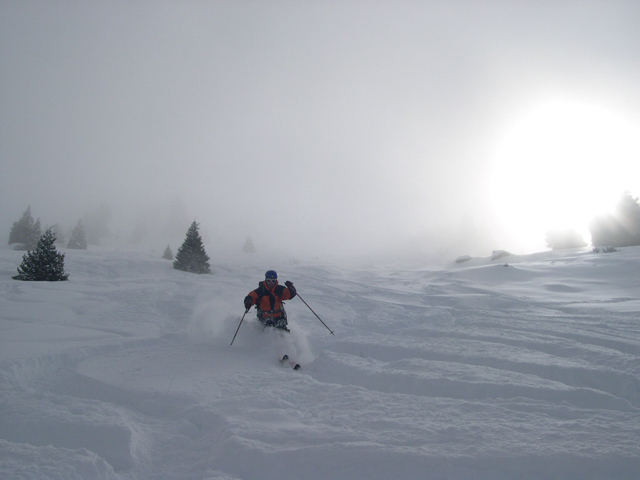 In February the snow is soft and fluffy with depth of cover about 0,7-1m. 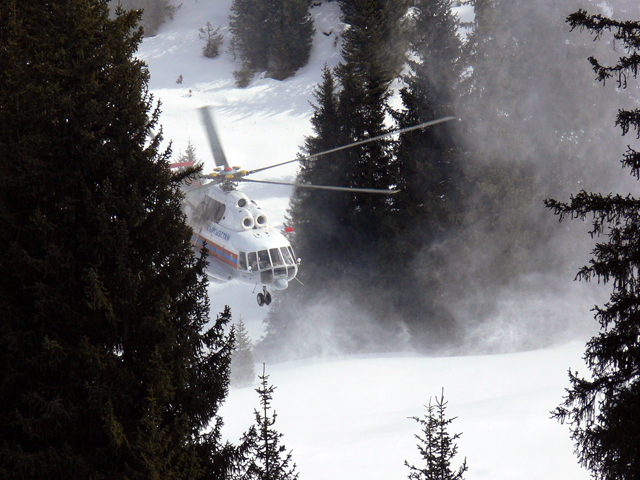 The avalanche risk is low this period. 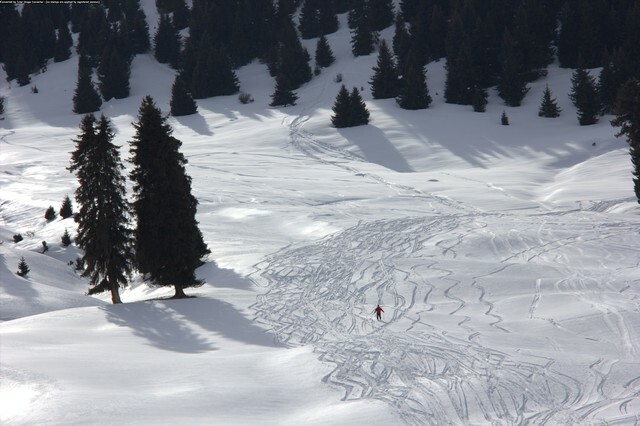 In March the depth of snow cover varies from 1m to 1,5m. 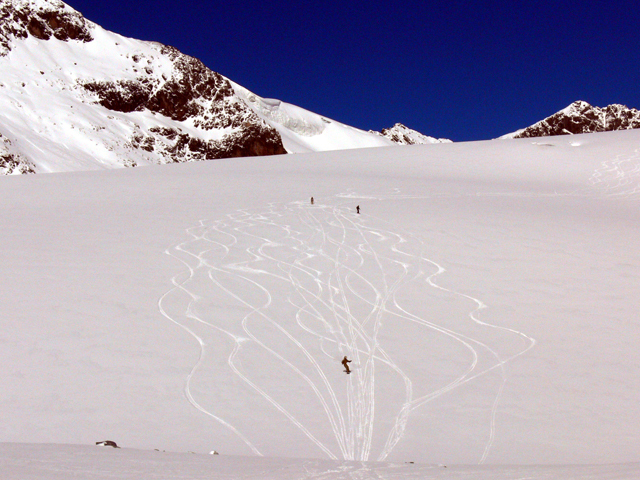 On the windward slopes snow turns into a solid crust – a glacier snow. The avalanche risk is average. The day temperature ranges from 15 degrees Celsius below zero till 5 degrees Celsius above zero. Participating in our programs you may have an opportunity to be the first man to make a step on the virgin top. And thousands of slopes and glaciers streaming down of these tops and mountain passes will be our skiing tracks at the celestial stadium. Arrival to airport “Manas”. Get Kyrgyz visas. Breakfast in local café. Flight to Issyk-Kul Lake (in case of bad weather you will reach the Issyk-Kul region by comfortable bus). Accommodation at the hotel, preparations for skiing. The Rest. 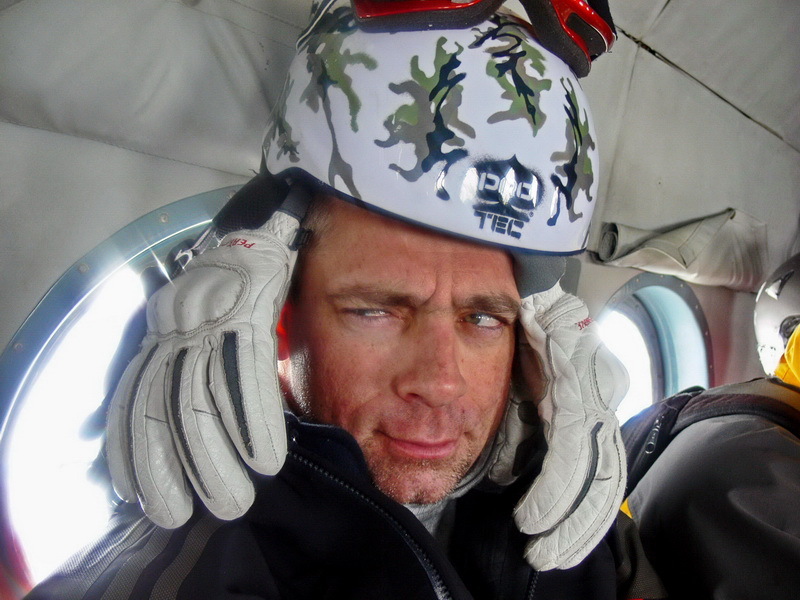 Preparing for Heliskiing. Safety lesson. 9:00 Take off. 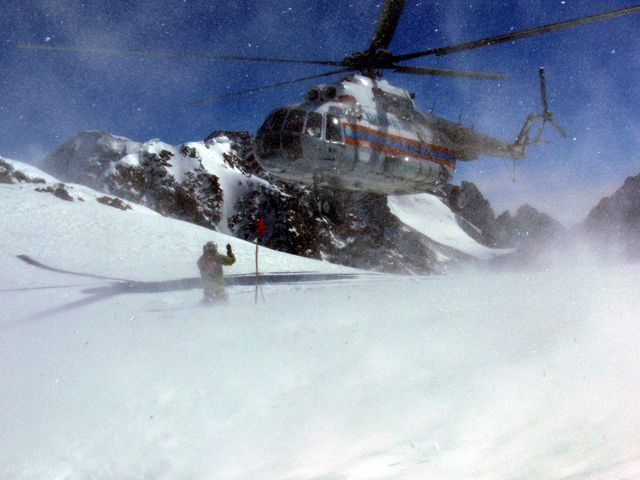 Heliskiing in Karakol region, Terskey Ala-Too. 12:00 Lunch in the mountains. 15:00 Return to hotel. 19:00 Dinner and rest. 14:00 Flight back to Bishkek (or transfer by comfortable bus in case of bad weather). Sightseeing. Shopping tour. Day 8.Transfer to airport “Manas”. Departure. * (There are 1-2 days for reserve in case of bad weather. 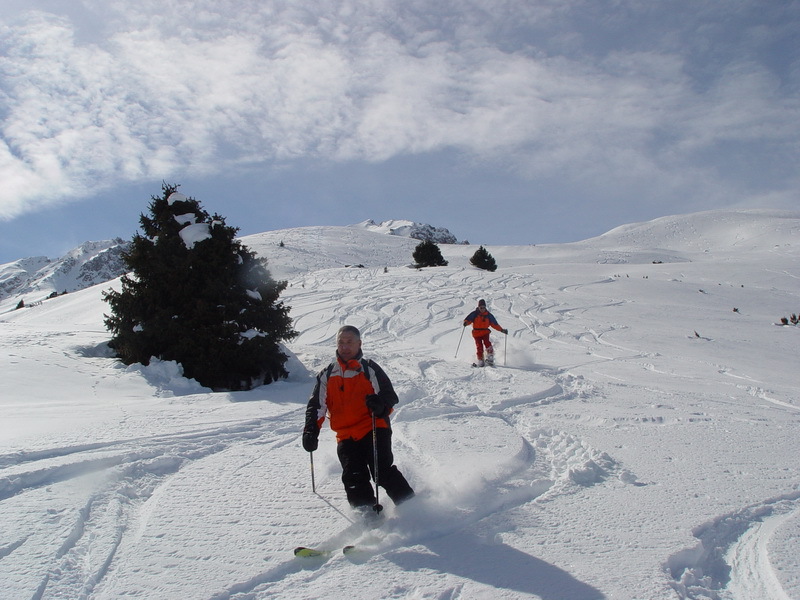 There are two double-chair lifts available near by mountain’s hotel “Karakol”. In case of bad weather guests can spend their time skiing in the ski-lift zones. 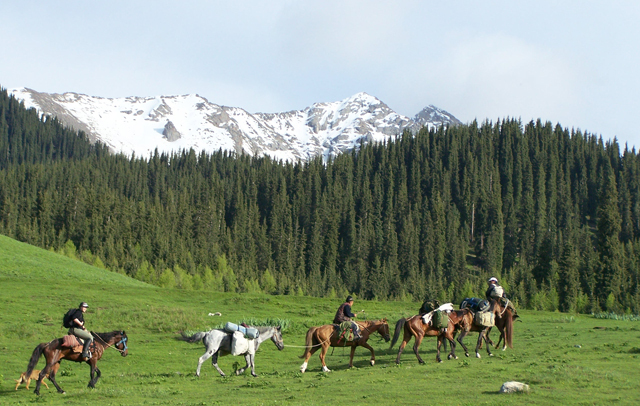 We also can offer a short-time tour to Karakol city. There are some interesting places for sightseeing).